Start with the convenience of a prime Chino location with the advantages of easy access to 60 and 71 freeways, and put that together with nearby shopping at Chino Spectrum Town Center it is the perfect combination. What you get is the welcome of Stonebrook. This neighborhood also includes a private community swim club – perfect for the family. Perfection comes in the many new home choices you’ll find at Stonebrook. The Cottages at Stonebrook expand the possibilities for growing families. 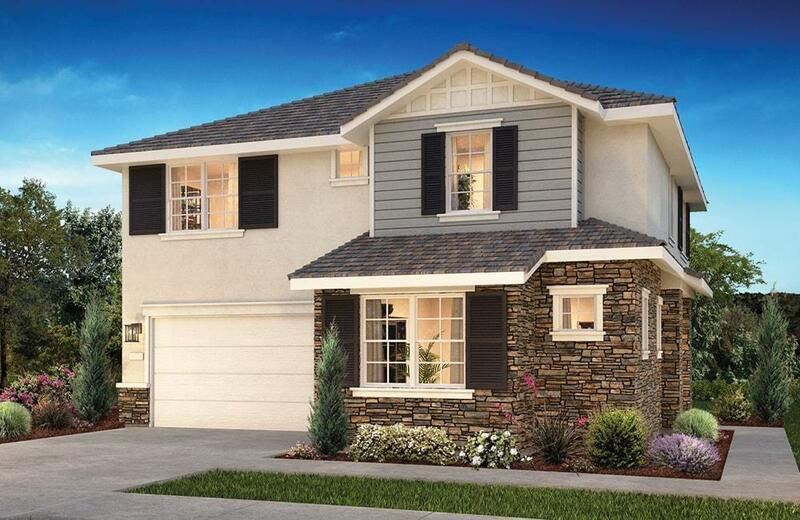 These two -story homes offer three innovative floor plans with 2,540 to 2,913 sq. ft., 4 to 5 bedrooms, up to 3 baths and 2-car garages. Choose from floorplans with downstairs bedrooms, comfortable dens, large loft/tech areas and chef’s kitchens complete with butler’s pantry. A gallery of Spanish, Seaside, and Craftsman architecture creates a street scene you’ll love coming home to.